Optica approached Antistatic in need of a major website help. We provided a major web startegy overhaul with the keystone being a fully responsive website build on ExpressionEngine. Optica Technologies, the leading provider of externals for IBM System Z servers, has been making peripherals for over 45 years and their website was showing its age. After working with their team to refine their sales approach and web-based product presentation, we led them through different user stories and the creation of a new website information architecture. The new content structure was further refined by creating user experience wireframes to detail the navigation and page-by-page interactions through the website. Once the user experience was solidified, we pursued the creative presentation of the website by working out each unique page design. These designs were programmed responsively and powered by ExpressionEngine. Optica's new responsive website means that any user, whether on a mobile phone, tablet device or traditional laptop or desktop computer is presented with the best possible content experience. 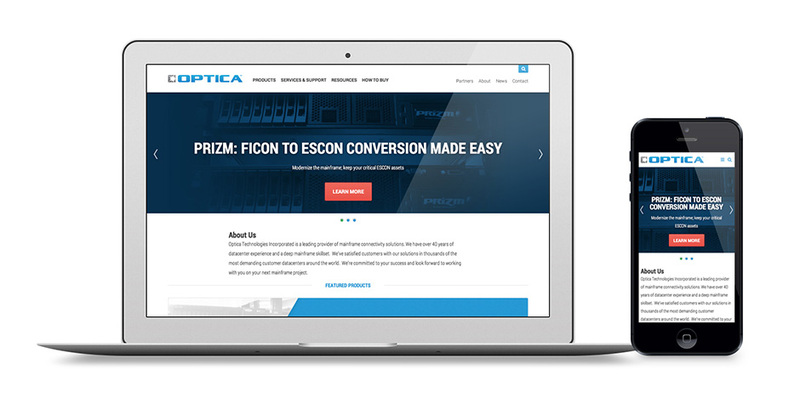 With the dynamic mix of site responsiveness and ExpressionEngine, we were able to provide Optica with one powerful website. 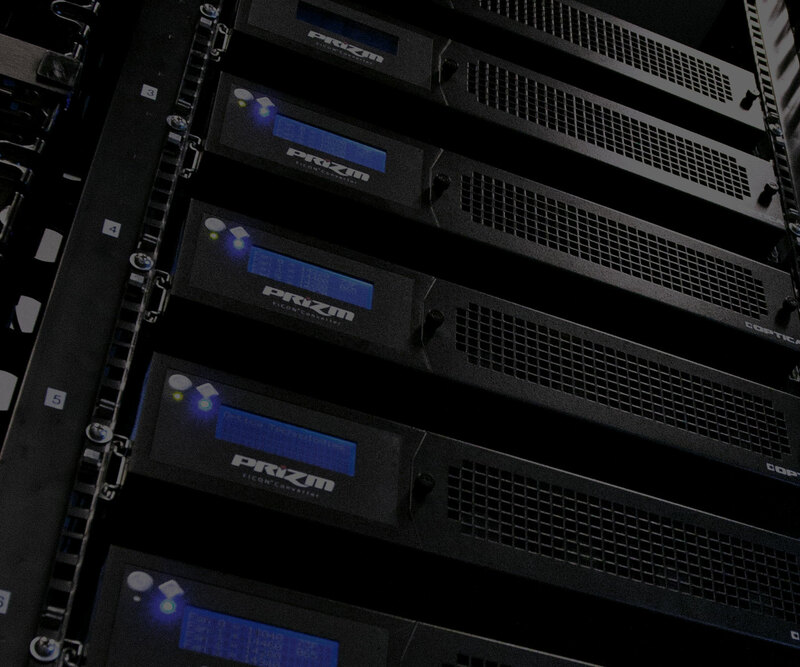 We came to Antistatic Design with a huge need for a ground-up redesign of our website. They helped us through every single step of the process and delivered on-time and above expectation at each and every milestone. With minimal direction from us Antistatic created an incredible design that covered 100% of our functional and aesthetic needs, then helped us bring it to life. Mark and his team met insane deadlines, handled every one of our requests with unprecedented speed and priority, and provided outrageous levels of support from start to finish. They were an absolute joy to work with and we could not be more pleased with their level of professionalism and creative talent.